Douglas RB-26C "Invader", SNr.44-35813. Arrived in Bien Hoa, (South Vietnam) for the "Farm Gate" operation in May 1962, as part of the Det.2A of the 4400th. "Jungle Jim" CCTS of the 9th.Air Force, under operational command of the 2nd. Air Division of the Pacific Air Force of the USAF, and wearing markings of the VNAF. 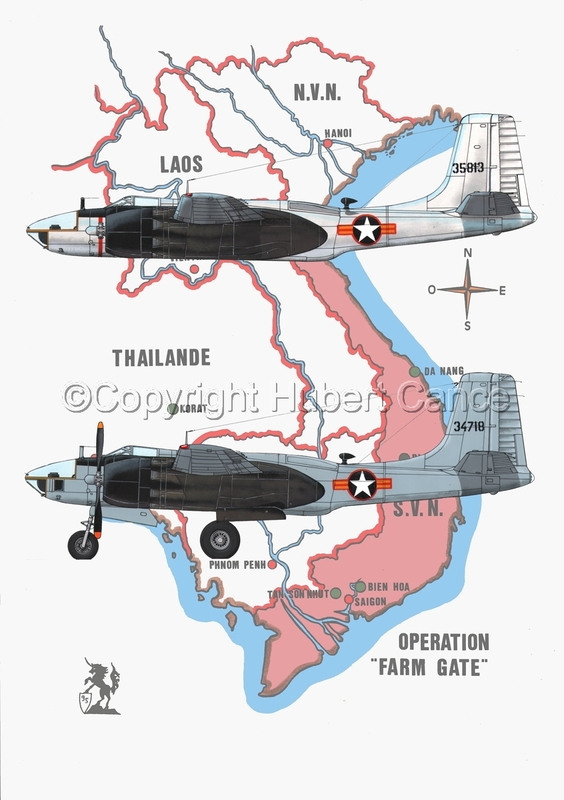 Previously used for "Mill Pond" Operation, in Laos (1962), then "Black Watch" Operation, with Air America crews, still in Laos. Used for Photo-Recce flights from Don Muang (North of Bangkok, Thailand).